A team of astronomers in the UK, USA and Australia have found a lonely planet, until now thought to be a free floating or lonely planet, in a huge orbit around its star. Incredibly the object, designated as 2MASS J2126, is about 1 trillion (1 million million) kilometres from the star, or about 7000 times the distance from the Earth to the sun. The researchers report the discovery in a paper in Monthly Notices of the Royal Astronomical Society. "This is the widest planet system found so far and both the members of it have been known for eight years," said Dr Deacon, "but nobody had made the link between the objects before. The planet is not quite as lonely as we first thought, but it's certainly in a very long distance relationship." "Membership in a group of young stars is great for establishing an age," said study co-author Josh Schlieder of the NASA Ames Research Center, "but when we can't use that we need to resort to other methods." The team then looked at the spectrum – the dispersed light – of the star to measure the strength of a feature caused by the element lithium. This is destroyed early on in a star's life so the more lithium it has, the younger it is. TYC 9486-927-1 has stronger signatures of lithium than a group of 45 million year old stars (the Tucana Horologium Association) but weaker signatures than a group of 10 million year old stars, implying an age between the two. "Compared to beta Pictoris b, 2MASS J2126 is more than 700 times further away from its host star," Dr Simon Murphy of the Australian National University, also a study co-author, "but how such a wide planetary system forms and survives remains an open question." 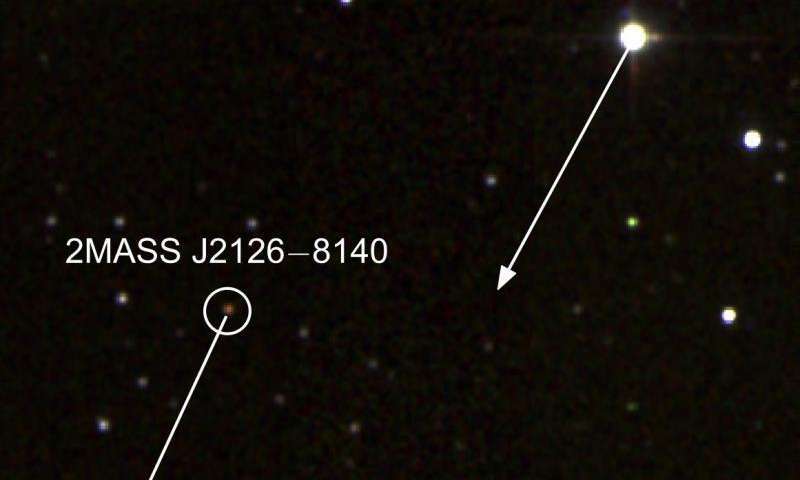 2MASS J2126 is around 7000 Earth-sun distances or 1 trillion kilometres away from its parent star, giving it the widest orbit of any planet found around another star. At such an enormous distance it takes roughly 900,000 years to complete one orbit, meaning it has completed less than fifty orbits over its lifetime. There is little prospect of any life on an exotic world like this, but any inhabitants would see their 'sun' as no more than a bright star, and might not even imagine they were connected to it at all. -and apparently they don't make the distinction as to whether it was captured or whether it formed along with the star. The astronomers cited in the article would be very familiar with how to classify such objects, and they have called it a planet. This is the first object of its kind, because it is gravitationally bound to a star. Models of planet formation do not apply to this case. 1-	Core accretion, off course; this is the one everybody knows about. 2-	Gravitational instabilities; this one happens during the molecular cloud collapse and it is the one you have got to learn about. It is better to extend the definition of star to this category because they are likely to have formed in the same way. The debate is ongoing as you can read on the best website of the world. A celestial body can only be called a star when it is massive enough to maintain the fusion process. A brown dwarf is not a star. A celestial body can only be called a star when it is massive enough to maintain the fusion process. A celestial body can only be called a star when it is massive enough to sustain hydrogen-1 fusion. Dwarf is short for "dwarf star". The fusion criterion is arbitrary, especially if restricted to 1H fusion. This restriction is ad hoc, to maintain definitions. I am all in favour of common language but science must be remain flexible when new phenomena are found. 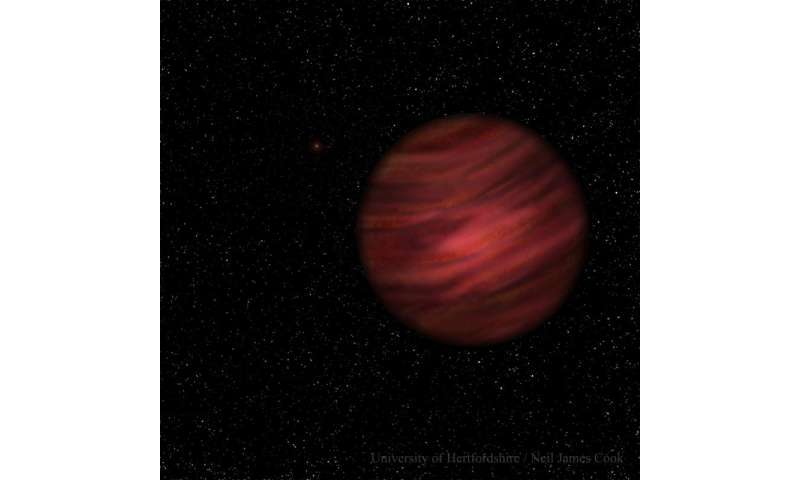 Au contraire, the fact that brown dwarfs cannot burn H1 gives them their distinctiveness and clearly sets them apart. Coming back to 2MASS J2126, it is not clear whether it is a brown dwarf or not; it sits right at the hypothetical limit (13 Jupiter mass) my guess is that JWST will be able to give an answer to that; meanwhile, it is a planet. It is gravitationally bound to TYC 9486-927-1, so its origin is most probably the result of a fragmentation of the same molecular cloud. It is a rule of thumb… "…Some researchers call them free-floating planetary-mass brown dwarfs." The general rule (not of thumb), when paraphrasing or quoting a source, is to give the source, otherwise it is called plagiarizing and it makes you look really bad. I have nothing against Wikipedia except that they are not the governing body of the astronomy. It is not you nor me and not even K. L. Luhman (the author of the arxiv paper you have linked ) that will give the designation of a celestial body; It is the IAU and I can assure you they are not playing rock, paper, scissors. Here is a 2014 peer reviewed paper on an object of 3-10 Jupiter masses and T=250K. The author refers to it as a brown dwarf. Are you accusing me of plagiarism? That is silly. I already gave the source of that, the wiki page on sub brown dwarfs. Alright you did; sorry about that. You should refer back to it whenever it is appropriate. It would avoid this kind of misunderstanding. If you don't have an opinion of your own by all means follow the "governing body". I am 100% confident that they are just an extension to the HR diagram, which planets are not. But feel free to differ.